The appreciation of Mexican cuisine continues to be elevated around the world. We’re seeing it firsthand here in Southern California with the recent announcement of the country’s first museum/teaching kitchen dedicated to Mexican Cuisine opening soon as part of LA Plaza de Cultura y Artes, a museum and cultural center dedicated to the history, art, and culture of the Mexican experience in Los Angeles. The new LA Plaza Cocina is scheduled to open in first quarter 2019 in the new LA Plaza Village, a mixed-used project now rising adjacent to the museum. Have you seen the construction? 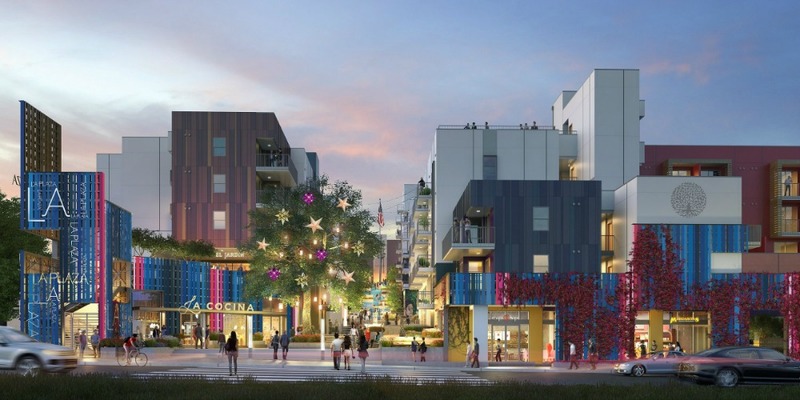 LA Plaza Village is a $160 million residential-retail complex being developed by LA Plaza in conjunction with the County of Los Angeles, Trammell Crow, High Street Residential, and the Cesar Chavez Foundation. A recent reception to preview the LA Plaza Cocina’s concept and design featured an overview of LA Plaza Cocina’s concept and design, along with food tastings and demonstrations by some of L.A.’s leading culinary figures, including: ArtBite’s Maite Gomez-Rejón, El Machete’s Oscar Ochoa, and Baja wine tastings by Gil Gutierrez and Eloisa Cruz, together with food and drink samplings by Todo Verde, Balam Mexican Kitchen, Guelaguetza, Pez Cantina, El Pirate D’Cordoba, and Hard Frescos Brewing Co.
LA Plaza Cocina expands LA Plaza’s role in celebrating and showcasing the rich and diverse Mexican history, art and culture of Los Angeles, according to Jessica Urena, senior manager of Special Projects at LA Plaza. WHERE IS IT LOCATED? LA Plaza Cocina will be located in LA Plaza Village, the first major new development in the El Pueblo Historical Monument area of downtown Los Angeles. According to LA Plaza’s press release, the 3.7-acres project is being developed by LA Plaza, High Street Residential, Trammell Crow Company, the Cesar Chavez Foundation, Principal Real Estate Investors, and the County of Los Angeles. The mixed-use complex includes 355 apartments, including 20% priced at affordable rates, and more than 43,000 square feet of restaurant and retail space.